Russia’s Vkontakte social media network has announced new privacy measures in the wake of criminal cases targeting its users for comments, images and memes posted on the popular platform. Russia’s Supreme Court estimated in 2017 that convictions under extremism charges have more than tripled since 2012. 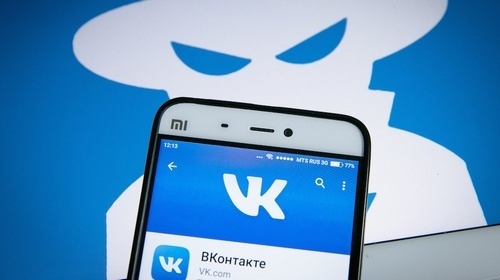 Activists have accused Vkontakte of cooperating with the authorities to punish Russians for online activity. “We are resolutely against unjustified persecution for publications on the Internet,” wrote Vkontakte’s CEO Andrei Rogozov in a public post on Vkontakte published Monday, noting that while his platform was obliged to comply with Russian authorities, police often misunderstood the context or origin of posts. “Within the month… we will introduce the option to make your profile entirely private, leaving it open only to friends,” he wrote on his page. Rogozov noted that Vkontakte had already introduced stricter privacy controls by making albums private by default last year. “Within the next two weeks we will also stop displaying the list of people who repost entries, saving this function only for their authors,” said Rogozov. Vkontakte’s parent company Mail.ru Group, owned by billionaire Alisher Usmanov, called on the authorities last week to pardon those convicted of extremism for their posts on social media. “Often enforcement actions do not correspond to a legitimate threat, while their reaction to comments or memes are harsh without justification,” a press release from the Mail.ru Group said last Monday. Meanwhile, a Moscow district court handed down a five-year prison sentence to a man in Oryol for posting social media content that allegedly justified terrorism.